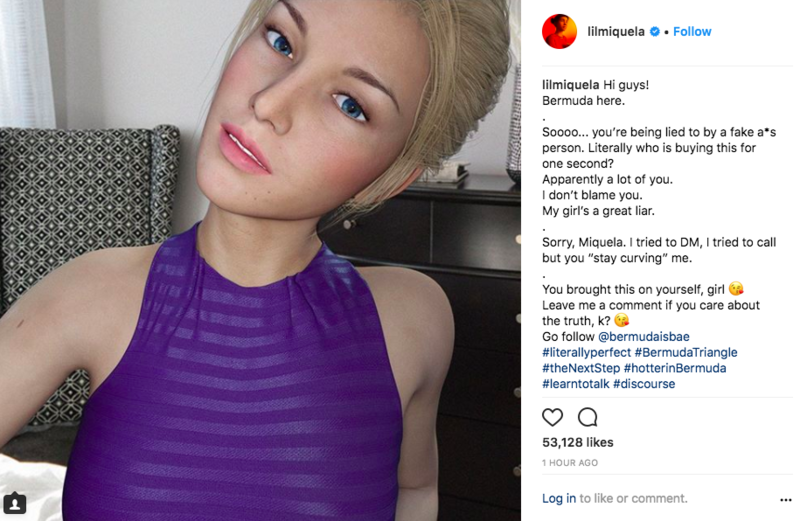 The Instagram account for the virtual celebrity known as Lil Miquela had been hacked, taking the virtual celebrity offline for about a day. Miquela Sousa, a Brazilian-American from Downey, Calif., launched her Instagram account in 2016. Since the account’s appearance, Miquela has been a subject of speculation in the press and online. Appearing on magazine covers, and consenting to do interviews with reporters, Miquela has been exploring notions of celebrity, influence and culture since her debut on Facebook’s new most popular social media site. 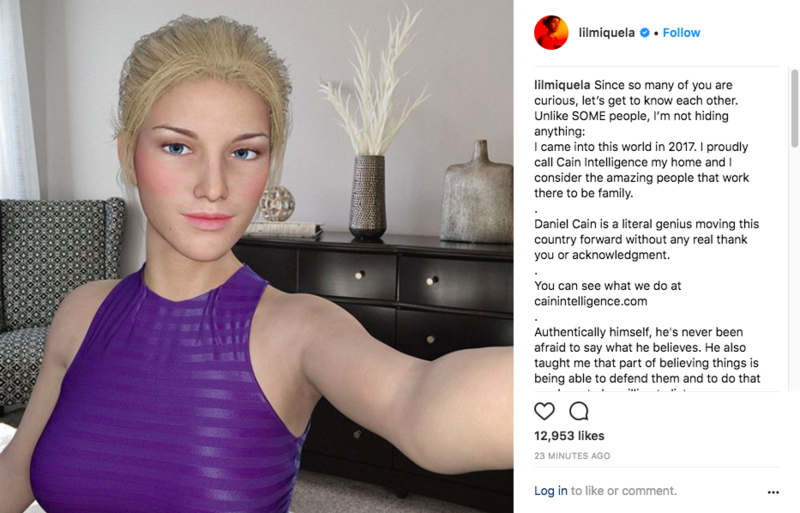 A person familiar with the Lil Miquela account said that Instagram was working on regaining control. Around 11 PM Pacific last night, the account was restored to its rightful owner.